* Enabling technology to let you consume our picks automatically. * Discontinuing our website-based picking process. Your top request has been to combine our rigorous research with the ease of automated investment. 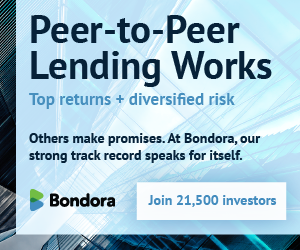 The popularity of P2P lending, as I am sure you are keenly aware, has almost made automation a necessity. Consumption of loans occurs so quickly that it has resulted in a frustrating user experience and an inaccurate billing system on our end. So, while P2P-Picks cannot directly make purchases for its subscribers, we are changing our delivery system to solve these issues and give you options. Toward this end, we have developed an application programming interface (API) that can fetch picks and receive usage statistics for billing purposes. This will allow software developers a way to integrate our picks with their automation solutions. By reporting actual usage back to us, we will also be able to generate accurate bills. We are making our API available to developers so that you will have choices about how you use our service. Further, we have already initiated partnership discussions with most major P2P account management application providers. Automation and the eventual initiation of paid subscriptions unfortunately require dismantling the web interface that you’ve been using for the last year, but overall this should be a major improvement in your P2P-Picks experience. Our first partner, Blue Air Solutions, owner of www.bluevestment.com, is in the process of linking its account management software to P2P-Picks. In short order, subscribers of both platforms will be able to have a completely managed solution for their LendingClub accounts! We wanted our beta users to hear it first, but a broader announcement is forthcoming. As always, we welcome your feedback and hope you find our service useful. It appeared that for awhile p2p-picks was still working, but I have not had any luck using it the last 2 days. Temporarily, I am trying to look at newly listed notes during the release times and grabbing high grade notes. I am considering a subscription with interestradar as Brian has already done for note selection. We will be sure to keep everyone updated on how we are investing in notes. I have seen a significant increase in loan availability so it has been pretty easy to stay invested. Enjoy this post? If so, join our email list to get all of our great content sent right to your inbox. Plus, receive a FREE COPY of our Lending Club eBook.